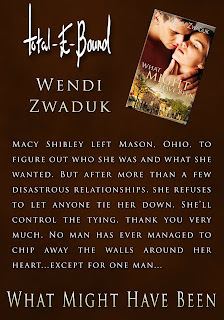 Wendi Zwaduk - Romance to make your heart race: Thank You Thursday!! I wanted to do a shout out today. I have some fantastic people in place to help with promo. Can't say enough about it. I love it. So thanks to Emmy Ellis and the art dept. at Total-E-Bound and to Marianne and Judy at Goddess Fish. Y'all rock!